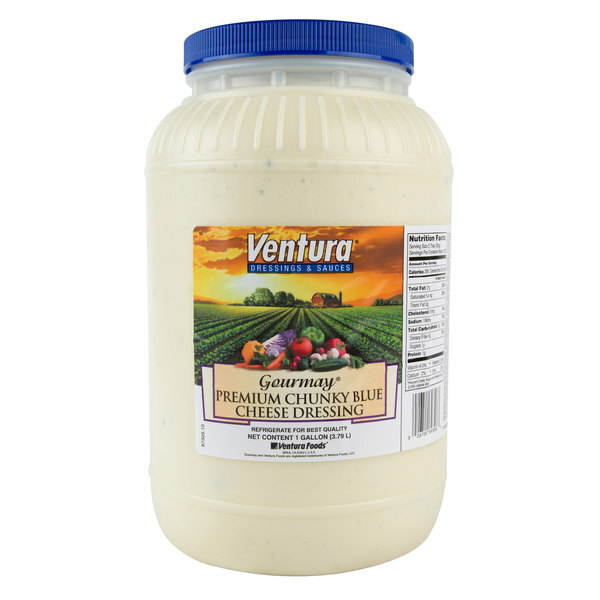 Offer your customers the creamy dressing they crave, with this Ventura Gourmay 1 gallon premium chunky blue cheese dressing! 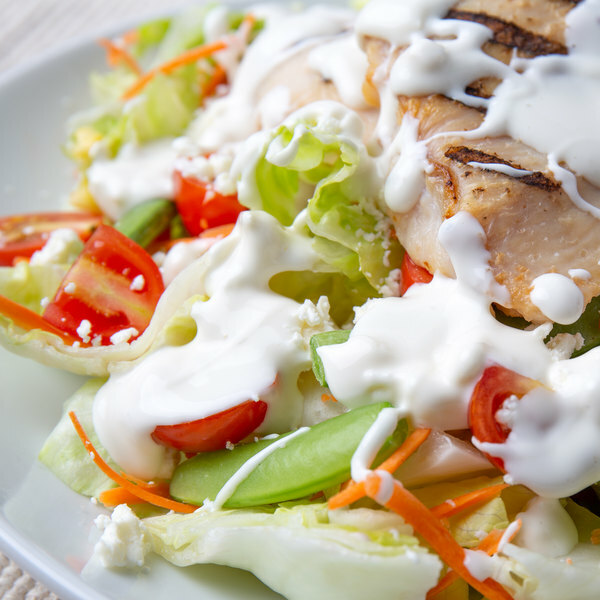 This dressing features an ultra-creamy consistency, complemented by chunks of real blue cheese. Use it to top your signature salads, or serve it alongside your weekly wing specials. The iconic flavor makes it a favorite among patrons, while the ample 1 gallon container ensures continued service. 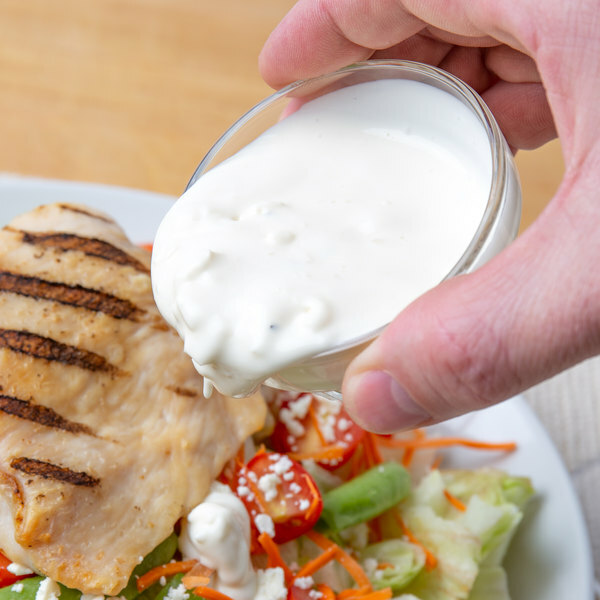 This blue cheese dressing is perfect for restaurants, bars, delis, and diners. It blends blue cheese with egg, sugar, and herbs for supreme taste. Plus, everyone will love its thick texture. When serving premium sauces, turn to this chunky blue cheese to take the labor out of prep work. 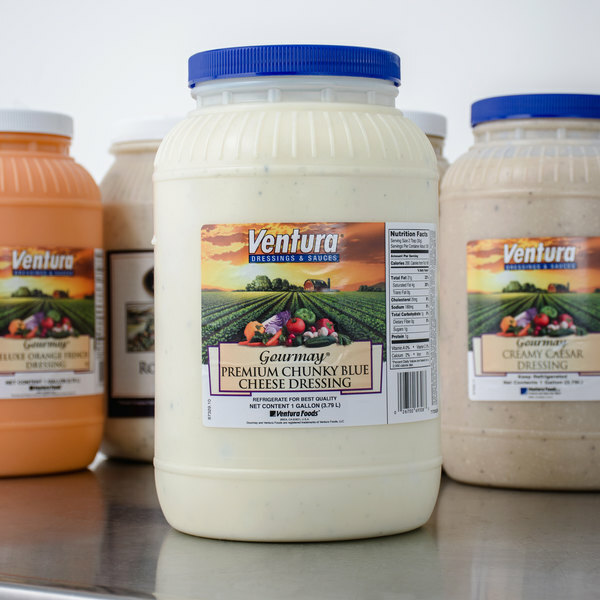 A leading manufacturer of dressings, sauces, mayos, oils, shortenings, margarines, bases, and pan coatings, Ventura Foods is dedicated to continually crafting the flavors that fuel the market. Their products make every plate unforgettable. By providing a variety of products that meet the ever-changing needs of businesses and tastes of consumers, Ventura has positioned itself as your one-stop-shop for quality foodservice products. Their knowledge, passion, and inventiveness helps them maintain this position while meeting the needs of the ever-changing marketplace.